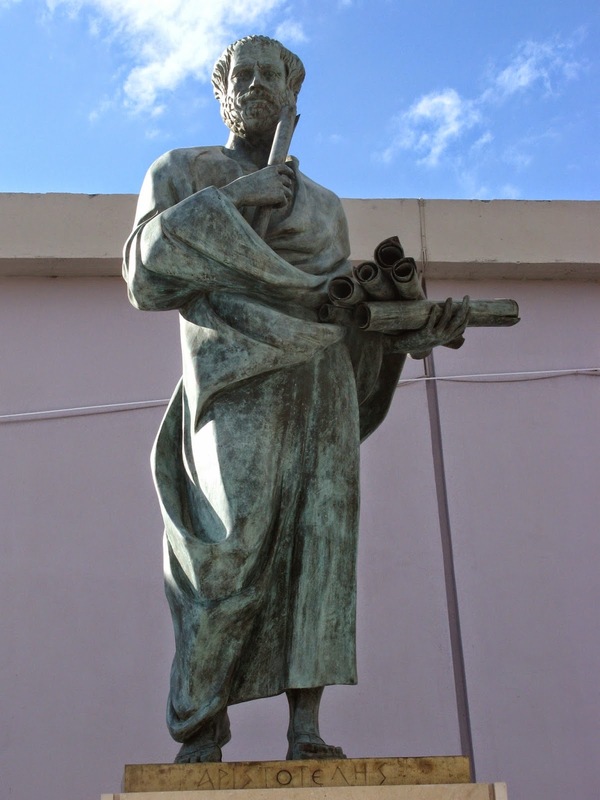 Statue of Aristotle at the Aristotle University of Thessaloniki in Greece via Flickr. On September 5, 2014, The Denver Post presented opposing points of view on the issue of repeal of broadband regulation (Senate Bill 152) in Colorado. The “No” opinion was presented by Dr. Ron Rizzuto of the Daniels College of Business at Denver University. The “Yes” opinion was given by Tim Wirth and Ken Fellman. --SB 152 serves as an important protection for Colorado citizens. --I have reviewed the financial track record of more than 75 municipal telecom systems that are competing with existing providers. --My research shows that 75 percent of the competitive municipal systems do not “pay their own way.” All are operating below the break-even point. --Given the risky nature of municipal broadband operations and the sizable financial investments required, laws such as Colorado’s are necessary to provide citizens sufficient transparency and oversight of municipal decision makers. --Why on Earth would Colorado want to take a step back from this level of transparency, voter empowerment, and accountability? --Competitive high-speed broadband networks are critical to the future of Colorado’s communities. --Indeed, broadband access should be considered an essential service just like water, sewer and electricity. --Incumbent service providers that do not want competition are blocking access to competitive, high-speed broadband. --Colorado’s statute causes delay in local decision-making and increases costs. --Our schools, businesses, health care facilities and service institutions deserve nothing less than the highest quality of service, at affordable rates. --Our [state] legislature should not continue to hamstring our local officials in order to protect incumbent service providers from competition. --SB 152 should be repealed, and unrestricted authority to make broadband decisions should be returned to the local level. Which technique appeals the most to you? If you were a decision maker in our state legislature, which approach would sway you? Your choice could indicate a susceptibility to authoritarian techniques. Depending on your degree of left-brain dependence, you will be attracted to one argument or the other. The hatred is directed at “incumbent service providers” who are shielded from competition. This argument makes us feel very comfortable. We are all part of the same mindset. We know who the bad guys are, and we keep our idealism intact. Dr. Rizzuto’s argument brings a “power to the people” libertarian appeal. He believes local governments should have restrictions placed on their authority, and the people being governed are just the ones to do that. It turns out the principle of this debate is really about control: How should local governments be restrained by the electorate? Editor's note: Colorado Senate Bill 152, which was passed in 2005, prevents the state's municipalities from creating their own broadband networks. Nearly a decade later, some say the law is outdated. We asked key players in the debate to answer this question: Should SB 152 be revoked or changed to allow communities more flexibility for broadband accessibility? Competitive high-speed broadband networks are critical to the future of Colorado's communities. Access to fast, affordable and reliable Internet service is required for job growth, enhanced educational opportunities, and improved health care. Indeed, broadband access should be considered an essential service just like water, sewer and electricity. Communities without access, or those relying on first-generation networks will find themselves on the wrong side of the digital divide. The Federal Communications Commission has challenged us to create "gigabit communities." Only a handful exists today. In places like Chattanooga, Tenn., and Lafayette, La, city-owned fiber networks provide high speed, cost-effective connectivity, and have resulted in private companies upgrading their networks and lowering prices due to the competition. This has led to significant job growth and investment. Why don't we see these activities in Colorado? Incumbent service providers that do not want competition are blocking access to competitive, high-speed broadband. These are usually the largest telecommunications companies that want to expand their monopoly or duopoly positions at the expense of consumers. This monopoly-like behavior takes many forms: lobbying at local town meetings; millions of dollars spent lobbying at the national decision-making level; and more lobbying dollars spent to convince legislatures to pass laws either prohibiting or creating barriers for local governments from building broadband networks. Colorado's state law, Senate Bill 152, was passed in 2005, and generally prohibits local governments from providing broadband without a local vote. When Longmont tried to re-establish its local authority through a vote in 2009, the industry spent $240,000 to defeat it. In 2011, despite another $400,000 spent by the industry, Longmont prevailed. Now Longmont is poised to become a gigabit city. We don't suggest all cities should provide broadband services. Communities can leverage excess capacity on internal government networks to incentivize the private sector to provide new and better broadband. Cortez, which was not affected by SB 152 because it had a pre-existing network, has been collaborating with the private sector for years. Montrose tried to get its incumbent providers to upgrade broadband networks, to no avail. After passing an election to re-establish local authority to build broadband networks, the telecom companies are now interested in upgrading their networks in Montrose. Imagine that! And imagine how interested they'd be in upgrading networks throughout Colorado if they knew that the failure to do so might result in local government stepping in to make 21st century services available. Municipal broadband networks are not perfect. There have been local failures, just as there have been private telecom ventures that have gone bust. Yet opponents of municipal broadband often cite examples from the mid-2000s or earlier, and do not acknowledge the hundreds of communities around the United States that successfully provide broadband today — either directly or through public-private partnerships. Colorado's statute causes delay in local decision-making and increases costs. It's one of the reasons Google chose to bypass Colorado and invest millions in new broadband networks in neighboring states. Localities took the lead a century ago to ensure that Colorado communities would not be without reliable, affordable electricity. In the 21st century, broadband is an essential service. Our schools, businesses, health care facilities and service institutions deserve nothing less than the highest quality of service, at affordable rates. Our legislature should not continue to hamstring our local officials in order to protect incumbent service providers from competition. SB 152 should be repealed, and unrestricted authority to make broadband decisions should be returned to the local level. Timothy E. Wirth served Colorado in the U.S. Senate and House of Representatives. Ken Fellman is a former Arvada mayor and is currently Littleton city attorney. 1) It hinders the expansion of high-speed broadband networks across Colorado. 2) It prohibits cities from providing free Wi-Fi in libraries or other public buildings. In fact, SB 152 serves as an important protection for Colorado citizens. First, Colorado law does not prevent local governments from selling broadband services. Rather, the existing statute simply empowers citizens to vote on whether their local government should enter this risky, high-stakes industry. And that's a prudent requirement, given that publicly subsidized missteps could hit the wallets of these same citizens. The record of municipal broadband throughout the nation is very uneven and cities have made costly mistakes. Two very recent examples include Groton, Conn., and Alameda, Calif.
Groton was in the telecom business from 2004 until 2013. The municipality invested more than $34 million and never generated any positive cash flow. Each year the municipal utility in Groton had to subsidize the telecom operation. In 2013, the municipality sold the operation for $150,000 but is still required to repay the $34 million that it borrowed to build and operate the business. Likewise, Alameda sold its telecom operation to Comcast in 2008 for $17 million after operating it for 10 years. It is estimated that the municipality lost $60 million on this venture. In April, the city just completed dealing with the lawsuits from its bondholders and third-party partner in this venture. I have been doing research on the economics of municipal telecommunications since 1997. In the course of my research, I have reviewed the financial track record of more than 75 municipal telecom systems that are competing with existing providers. In reviewing this performance, I have used the annual reports prepared by the municipal utilities and the financial performance from the date of inception to the current period. My research shows that 75 percent of the competitive municipal systems do not "pay their own way." All are operating below the break-even point. Given the risky nature of municipal broadband operations and the sizable financial investments required, laws such as Colorado's are necessary to provide citizens sufficient transparency and oversight of municipal decision makers. Second, local governments in Colorado can legally today offer free Wi-Fi in public places like parks, and libraries — and they do so. There are prominent examples of local governments providing free Wi-Fi, including Denver International Airport, the Denver Public Library system, the Golden Library, and Boulder Public Libraries. This is just a sampling. Beyond these real-life examples, there are legal bases to support the idea that free Wi-Fi at a public park, library, government office or the like is permissible under Colorado law without a vote. Free Wi-Fi could satisfy the "internal and intergovernmental purpose" exception in the law, for example. Given these realities, it is no wonder that free public Wi-Fi is increasingly available in certain communities. Time and again, Coloradans have demonstrated their desire to vote on important financial questions that impact them. If a local government can make a compelling case to voters for investing in broadband, no doubt these voters will support the investment — just as they support ballot questions to fund schools or other public priorities. Why on Earth would Colorado want to take a step back from this level of transparency, voter empowerment, and accountability? Ron Rizzuto (rrizzuto@du.edu) is a professor of finance at the University of Denver. Mr. Barasky uses rhetoric to (once again) pair up idealism and hate. The idealism is the protection of women and respect for the deceased. The hate is the "disgusting" Representative Cory Gardner. It's formulaic, and it works.